Over the past couple of weeks, I've purchased a fair bit of makeup and it's really reignited my love for finding new beauty products. You all know I'm a creature of habit and will very happily stick to the same makeup routine for months on end but this year I really want to experiment more and try more products from brands I already love and use. My Charlotte Tilbury collection is growing slowly but surely, and I'm currently going through a phase where I want to try literally every product from her range. I recently purchased the Matte Revolution Lipstick in Pillow Talk and I'm already obsessed with it! I've heard great things about her eyeshadows and blushes and I'm also really intrigued by her new Hollywood Contour Wand and Beauty Light Wand which look like the perfect duo for creating a naturally sculpted face. 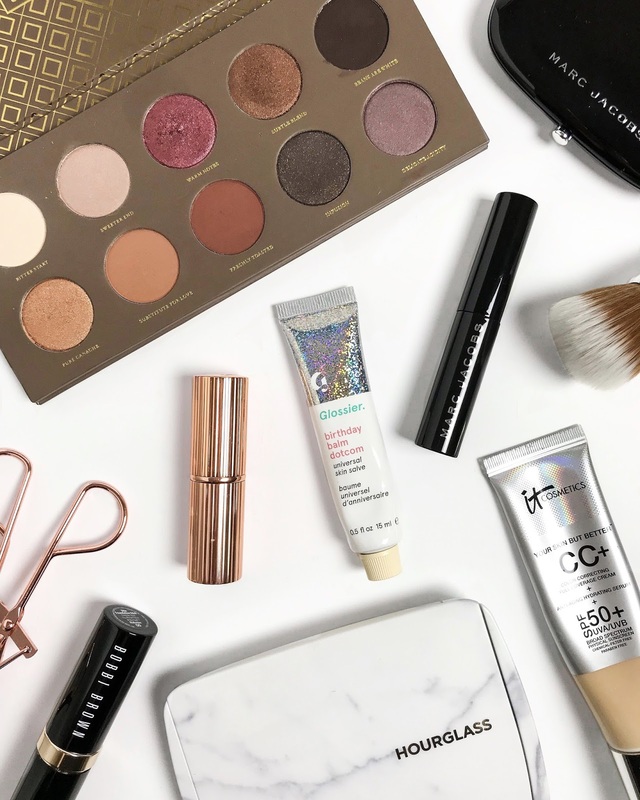 I never used to be interested in Bobbi Brown makeup but after having a closer look at the range I've seen quite a few products that I really want to try including the Vitamin Enriched Face Base and Creamy Concealer. I have the Skin Foundation Stick which I really like as an everyday foundation so I think I'll really enjoy these! Ever since I tried the Marc Jacobs Blush Air Blush in Kink & Kisses I've been dying to try more products from them. I love their high-end, luxe vibe and I'm not usually a sucker for packaging but Marc has it down. I'm currently lusting after the Under(Cover) Perfecting Coconut Face Primer and Bronzer Brush. I've only tried one product from IT Cosmetics which is their cult Your Skin But Better CC Cream SPF 50 and I still haven't managed to find anything that makes my skin look as flawless and glowing whilst still being natural at the same time. This year I definitely want to try some other bits from them. The Bye Bye Redness Correcting Cream sounds amazing! What makeup products do you want to try this year?